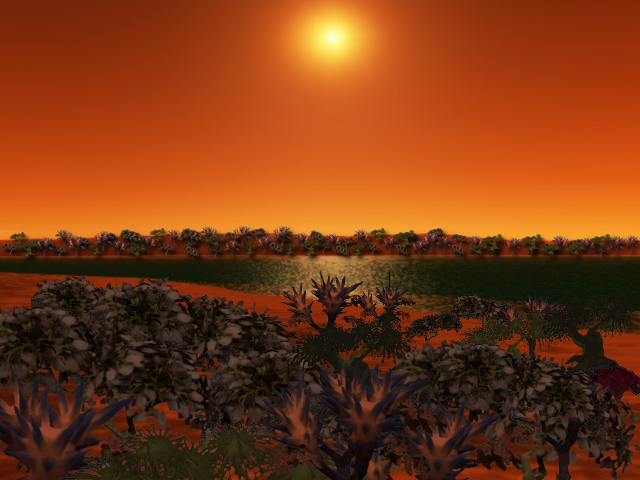 If Space Engine is the type 3 or 4, the creation of fauna and flora should be priority. I think there are many things prioritary before that...for example, traces of civilisation (if there is). I think modeling cities (with different level of civilisation) is easier than creatures to make, and moreover, it makes more beautiful screenshots. And MOVING creatures ? 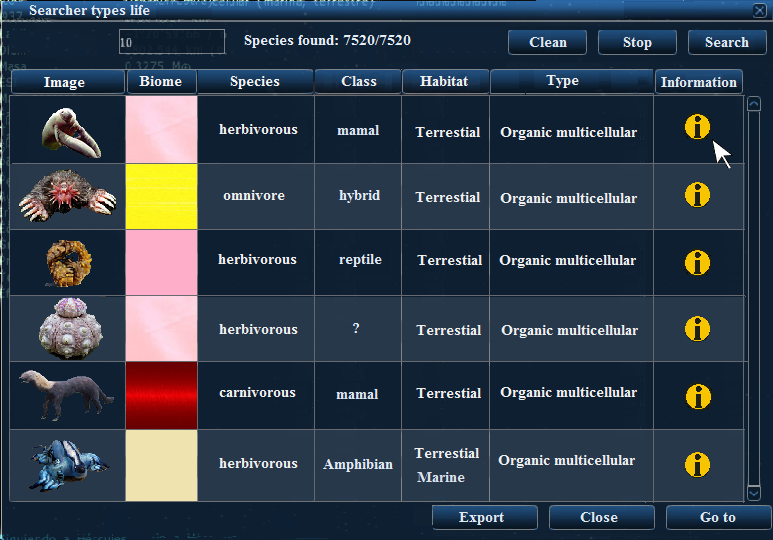 It's a game in itself (look at game of species, which was just 0.6.1 yesterday). Flora could be cool too. Something with the aspect of a forest, with beautiful textures. But, again, detailled trees will be a hell to do for our spaceengineer. I think that procedural trees and cities are planned, but I am not sure. On the topic of actual moving creatures, I will just flat-out say that it probably is never going to happen, since once all of the universe generation stuff is finished(which wont be for some time), the actual game will be a priority, not creatures. The games Noctis and Ad Astra had fauna, flora and traces of civilizations. In Evochron Mercenary has trees. But with empty planets Space Engine is a simple simulator and planetary procedural. Don't forget the Spore game. 1) Do not model animals at all. 2) Have static animals (not moving or moving at simple cycled trajectories), which will not interact with player. Spore is a life simulator. Unlike Space Engine or Noctis. I understand, but it is not necessary to create real-time creatures that walk on the ground. 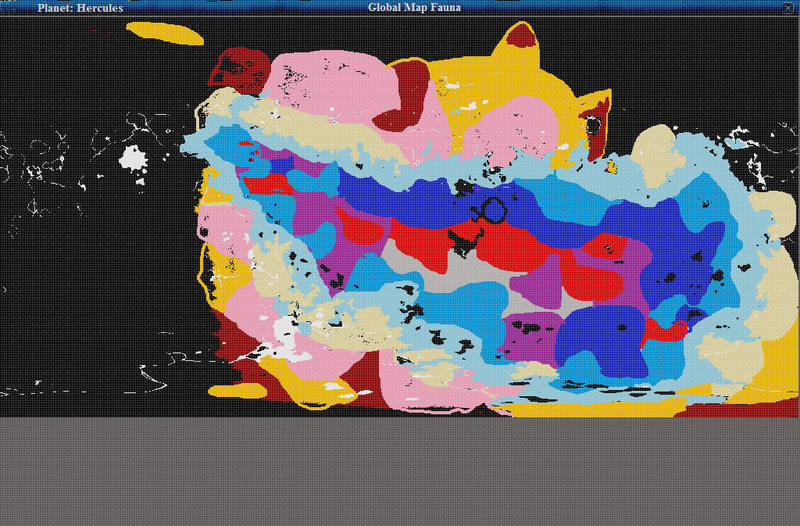 You could create a map with different colors with different ecosystems. The creatures would be on that map in a window in the style of a database. This would be with a detailed surface scanner. Spore is a life simulator. 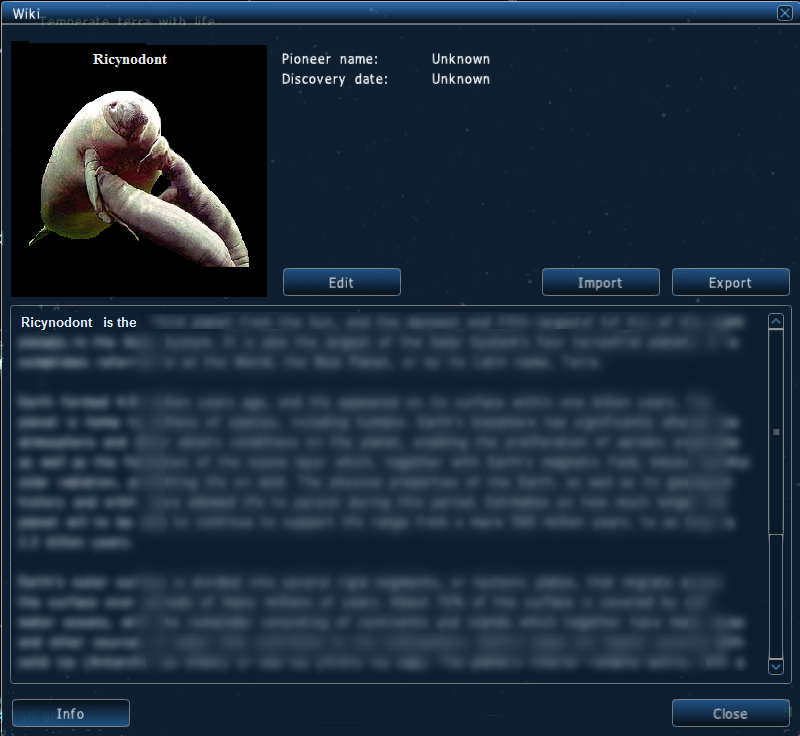 Lol, I dont think that Spore deserves to be called a simulator, since it is so unrealistic. That actually sounds like a fairly good idea, and doesn't sound too hard to implement. Conquesti, you probably should have quoted the original text. I think you could easily get away with a third option; procedurally generate animals and scatter them around on the planet's surface, have them interact with the player whenever they show up, but don't bother to save the state of that local interaction when the player leaves the vicinity. We're all quite used to video games wherein corpses disappear or creatures spontaneously respawn. Regardless, though, I imagine individual animals are way far down the priority list. Though as an interim measure I'd love to see more complexity in the textual description, beyond just "marine/terrestrial uni/multicellular" and so forth. As a child i remember being a big fan of "Sim Earth". The life was completely (nearly completely actually) procedural, and it was very entertaining. Something interesting could be that with a scanner or a specific menu you could study the life (fauna & flora) on the planet, but you couldn't actually SEE it. You could thereby modelize a lot of thing, this menu could still be useful for the "game", but apart from the color of the forests, it won't be a big thing to make graphicaly. The spacecraft could scan life, ruins, alien technology, rare minerals (all statics in surface), etc.. I was, actually, EXACTLY what I was imagining. 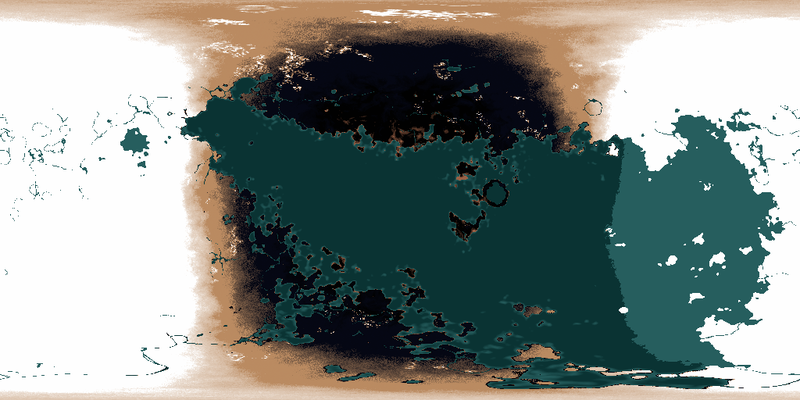 The hardest part of this is to make possibility of life very very very diversified (even if, IMHO, 99% of life in universe is unicellular), and I think proper images will lack. In your menu, it's very similar to life on Earth. In your menu, it's very similar to life on Earth. our brain cant think about another lifeform. if you try to think about alien you will think about alien with legs,hands, head. this is our brain. The database is of one planet. Could you see life simple or more complex life on another planet. The example of the fictional planet Hercules is advanced multicellular organic life. The universe is billions of worlds with life and I think that a database is the best solution. Besides that database could be created by users and players while SpaceEngineer could work in the game engine.